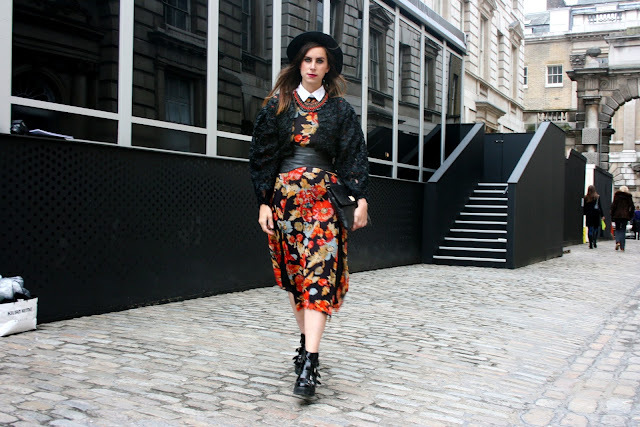 For LFW Day 3 I went for a winter florals look which is bang on trend for AW13 and a look I absolutely love! 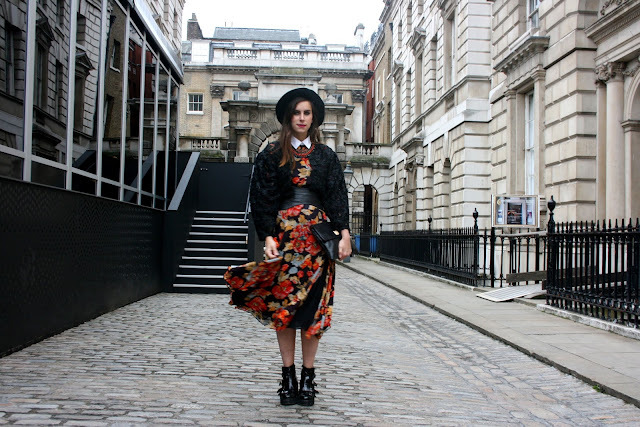 Inspired by the Valentino dresses I decided to wear one of my favourite Topshop Limited Edition dresses which is perfect for that winter blossoms look. 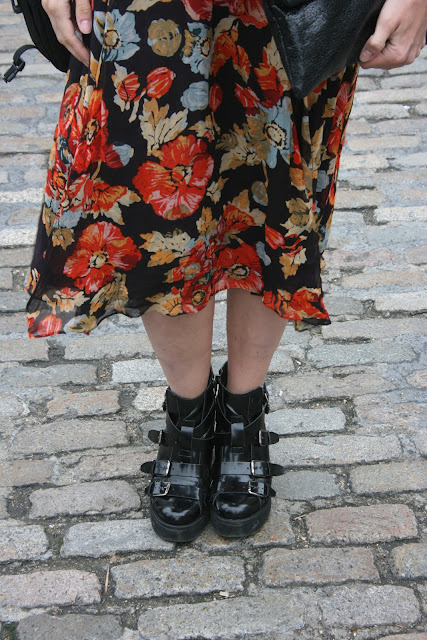 I layered it with a trusty white shirt underneath, which seems to be my style staple over LFW. I like the premium feel it adds to any outfit and makes it look more high end. 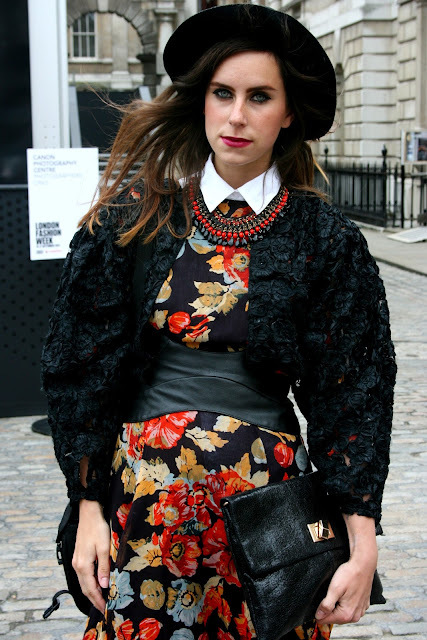 The vintage jacket was perfect to add texture and drama to the look and looks great with my Zara statement necklace. Accessorised with my black hat, black clutch and amazing Aggro boots from Topshop. I also got interviewed by Naomi from British MODE! See the video above, as usual it was a very exciting few hours at LFW!